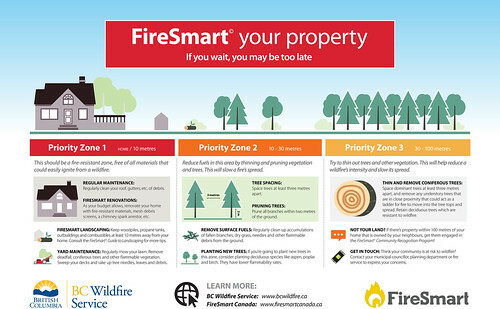 In light of the 2017 wildfire season, the BC government has declared May 5th as Wildfire Community Preparedness Day and launched a FireSmart Homeowner’s Manual. In related news: Ontario declares forest fires to be a No Drone Zone; and there’s a sense of relief in Idaho now that the Forest Service has more cash. 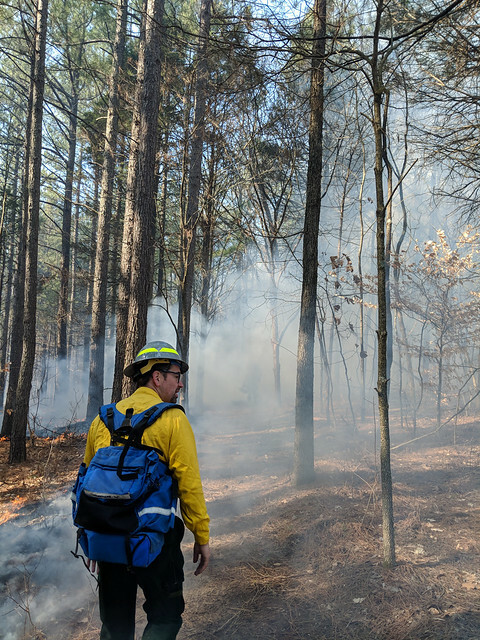 In the US, it’s Air Quality Awareness Week and the USDA Forest Service is highlighting the threat wildfire smoke poses to health and safety. In other safety news: a study on the mill shooting in Nanaimo BC focuses on how to prevent mill-workplace violence. Elsewhere: CN Rail purchases 350 new lumber cars; Universal Forest Products acquires four companies; and SFI elects four new board members. 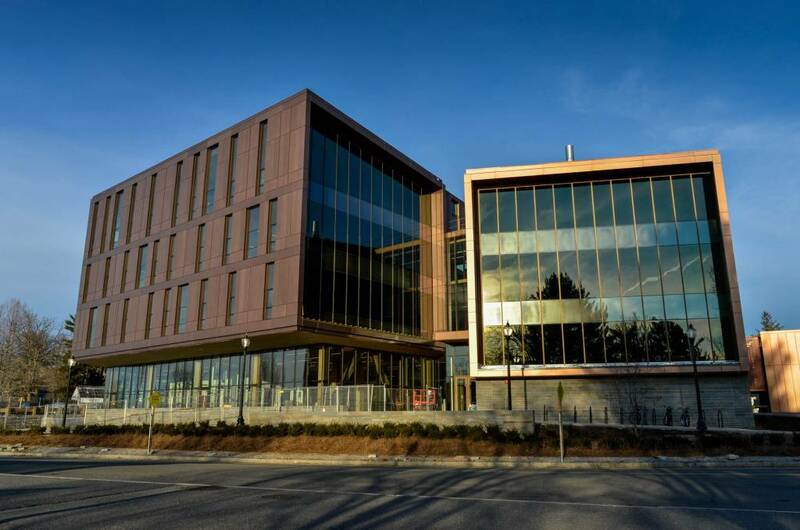 Finally, FPInnovations speaks to the climate change benefits of timber bridges; and the Softwood Lumber Board highlights the “trickledown effect” of pursuing 18-storey mass timber buildings. Ottawa, ON and Washington, D.C. — The Sustainable Forestry Initiative Inc. (SFI) is pleased to announce the election of four new members to its Board of Directors: Mike Parr, President, American Bird Conservancy; Jim Irving, Co-CEO, JD Irving Limited; Lennard Joe, President, Nicola Tribal Association; and Jaime Yraguen, President, Associated Oregon Loggers. These new members embody SFI’s three pillars: supply chain assurance, conservation elevation, and education and community engagement. “SFI is embarking on a strategic direction exercise and we are so pleased to have these new representatives from key constituencies among our leadership. They will help us think through our role in the next chapter of our forests, our responsible supply chains, and our communities … at the local and regional levels across the U.S. and Canada,” said Kathy Abusow, President and CEO of SFI Inc.
Where does Trump’s ‘America First’ leave Canada? Donald Trump has been keeping Canada on its toes since he became US president at the start of last year. When it comes to matters of trade, Mr Trump has been resolutely hawkish, vowing repeatedly to put “America first”. As the US is far and away Canada’s largest trading partner, this has inevitably caused concern north of the border. 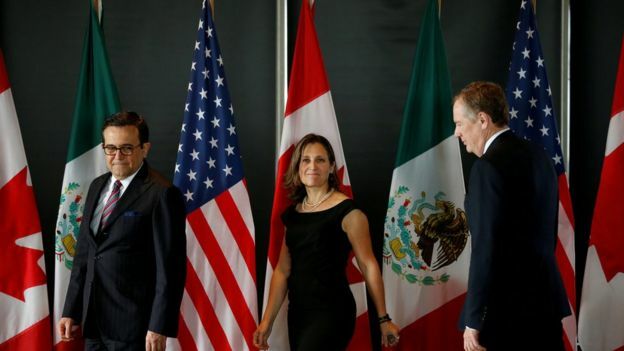 And given that Mr Trump has repeatedly threatened to tear up the 1994 North American Free Trade Agreement (Nafta) between the US, Canada, and Mexico, alarm in Ottawa has been somewhat justified. Especially as Donald Trump’s administration has already hit Canadian softwood lumber with import tariffs of more than 20%. CN Rail says it will purchase 350 lumber cars to meet growing demand for forest products despite lower segment revenues in the first quarter. “CN needs to and will do better moving lumber to market,” stated interim president and CEO Jean-Jacques Ruest. The new cars will be manufactured by National Steel Car Ltd. at its assembly plant in Hamilton, Ont., with deliveries expected to begin in September. CN said it is also looking at an option to purchase or lease an additional 300 cars, which have a maximum load capacity of 129,000 kilograms. The head of North America’s largest lumber producer welcomed CN’s investment. “West Fraser looks forward to continuing to work with partners who can provide an effective supply chain serving the solid U.S. housing market,” said Ted Seraphim, president and chief executive officer of West Fraser Timber. More than 300 suppliers to the forest products industry are expected to exhibit their products and services at the East Coast Sawmill and Logging Equipment Exposition in Richmond, Virginia, May 18-19. The biennial trade show, also known as the EXPO Richmond, is considered one of the top trade show events for the pallet industry. It is sponsored by the Virginia Forest Products Association. …Virginia Tech will give a one-day seminar on May 17 titled, “Creating a Successful Small Forest Products Enterprise: A Review of the Fundamentals.” …EXPO Richmond will feature the largest exhibit and display in the eastern United States during 2018 of equipment and machinery for logging, sawmills and lumber remanufacturing, and pallet manufacturing and recycling. Universal Forest Products recently acquired four companies with a combined $50 million in annual sales. Matt Missad, CEO of Grand Rapids-based Universal Forest Products Inc., or UFPI, announced the four acquisitions in the company’s first-quarter earnings call with shareholders. Missad said UFPI is focused primarily on unit sales growth, but the deals are also expected to enhance its bottom line, which he said has been affected by recent “weather-related shutdowns” and the rising price of lumber. “We will continue to implement cost-saving initiatives as we integrate our recent acquisitions,” he said. Terms of all four deals were not disclosed. Companies acquired are Great Northern Lumber, Spinner Wood Products, Expert Packaging, and Fontana Wood Products. VICKSBURG, Miss – A new wood remanufacturing company is headed to Vicksburg bringing fifty new jobs with it. Industrial Wood Products of Mississippi plans to locate an industrial manufacturing operation in the area along with a paint line used on the company’s Rustic Collection. The pre-stained shiplap boards are sold across the U.S. The facility will also allow the company to provide a higher level of service and decrease shipment times to customers across the Gulf Coast region. …Industrial Wood Products has committed to fill the 50 new jobs in Vicksburg over the next four years. The company also has two locations in North Carolina. THE Irish timber industry has to make itself Brexit proof as diversifying into markets other than the UK is not a realistic option. 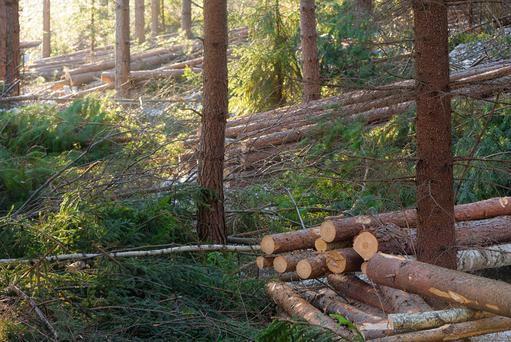 Coillte CEO Fergal Leamy told Commissioner Phil Hogan and delegates at the recent Timber Industry Brexit Forum in Dublin that since Ireland exports almost 80pc of its output to the UK and isn’t suited to other markets, it’s important that Ireland approaches Brexit in a solution-based manner. “We have 40,000 truck movements between Ireland and the UK each year and in the context of Brexit that’s very important. “… the product we produce is ideally suited towards UK and Irish markets and the potential for markets outside UK and Ireland is very limited. Most of the risk is yet to come in terms of trading difficulties that we might see in the next while if we don’t address this in a positive frame of mind,” he said. Getting the Liberal and Labor parties to work together on Tasmanian forest policy is the optimistic goal of the industry’s peak body. Tasmanian Liberal Senator Jonathon Duniam and State Labor Shadow Resources Minister Shane Broad clashed on Tuesday over the controversial forest peace deal which Labor introduced. Labor’s draft national policy platform says the party will continue to support the implementation of conditions of the deal. Senator Duniam said it appeared Labor again wanted to “lock up” Tasmanian forests. …Mr Edwards said Forest Industries Association of Tasmania wanted to ensure Tasmania ended up “with the best forest policy for the entire industry in Tasmania and we are hopeful that policy can be supported in a bipartisan way by the major parties”. The Softwood Lumber Board (SLB) helps the softwood lumber industry identify, create, and capitalize on new and existing opportunities to generate demand and sell more of our products. …The SLB’s market research has consistently pointed to the five- and six-story market asone primed for growth in both residential and nonresidential buildings. Market research also points to important growth opportunities in the one-to-four-story and seven-to-eight-story nonresidential segment. …Since 2012, AWC has advanced scores of pro-wood codes changes… Most recently, AWC research and advocacy led the ICC Tall Wood Building Committee to recommend 18-story mass timber buildings as the maximum allowable for select occupancies in the 2021 ICC Standards Development process. By changing mindsets about the use of wood in tall buildings, AWC will create a trickledown effect of greater acceptance in the five/six- and seven/ eight-story segments, where volume opportunity is greatest. Over the past years, FPInnovations has initiated projects aimed at reducing the effects of climate changes on access roads to resource. Among these projects is the evaluation of the use of advanced wood-based solutions to construct innovative timber bridges, which are considered as green infrastructure, as a way to mitigate impact on forest resources. There is a long history of timber being used in resource road bridges. However, those timber structures are gradually being replaced with steel and concrete bridges. In order to mitigate this trend, FPInnovations has initiated a two-year project, funded by the province of British Columbia (through the Ministry of Forest, Lands, Natural Resource Operations and Rural Development). This project focuses on the use of timber-concrete composite for the bridge deck. Annual Pulp, Paper and Bioproducts Course coming up in October! FPInnovations is proud to be offering once more its unique and popular annual one-week Pulp, Paper, and Bioproducts Course. The course will take place at our headquarters in Pointe-Claire (Quebec) from Monday October 15 until Friday October 19, 2018. …With topics ranging from fibre supply to final products and new bioproducts, this course is an excellent opportunity for those wishing to enhance their technical knowledge in pulp, paper, and bioproducts! Through presentations and hands-on demonstrations, the Pulp, Paper and Bioproducts Course is carefully and specifically designed to provide comprehensive understanding of pulp and paper manufacturing as well as an introduction to the emerging bioproducts industry for a wide range of professionals in the industry, mainly newly hired engineering interns, process engineers, technical staff, and sales representatives. U.S. Multifamily construction projects suffer the plague of fires during the framing phase. New technology that inhibits fire advancement and smoke production offers a remedy. Learn more in a Multi-Housing News webinar led by firefighting experts. Multifamily building construction projects across the U.S. suffer the plague of fires during the framing phase. Twelve wood-frame building fires in 2017 alone, plus a fatal blaze in Denver in March 2018, tragically illustrate the magnitude of this problem. Fortunately, new technology that inhibits fire advancement and smoke production offers a remedy. Learn more in a Multi-Housing News webinar led by firefighting experts. 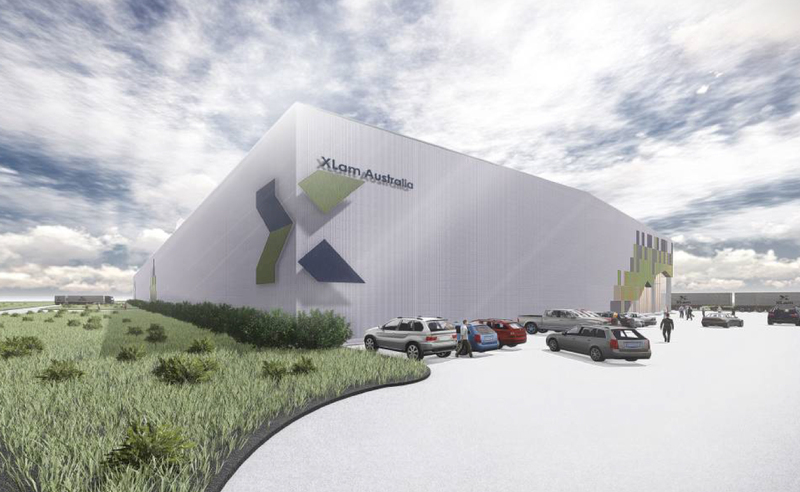 Building material manufacturer XLam has set the pace for a timber revolution in Australian construction, with production officially under way at their newly opened Cross Laminated Timber plant in Wodonga. The facility measures 12,000 sq m and was announced in 2016, when the $25 million project was originally conceived to fill a gap in the industry responding to the demand for a sustainable, easy-to-use and fast building solution. The Australian government provided financial backing for the factory, issuing a $2.5 million Next Generation Australian Industry Grant, on top of a $450,000 grant from the Victorian Regional Development authority to support job development. XLam chief executive Gary Caulfield said the facility was already experiencing demand for product. As Britain cries out for better quality, affordable housing, should we be looking to factory made homes? By almost universal consent, three problems need to be addressed in the current market – affordability, sustainability and quality – and whoever conquers all three will seriously shake up the UK market. Yet architect Richard Hywel Evans thinks he, along with his business partner Nick Fulford, has cracked it with the nHouse. The “n” stands for “new”, as it aims to differentiate itself from so much of what has come before. …the entrepreneurs believe this is the first time modular housing has been delivered to a higher standard than the average new build, yet below the price. …its secret ingredient would be CLT. … And it’s particularly useful for modular or custom housing because it’s easy to modify. “If it arrives on site and something isn’t quite right, you can work with timber,” Evans says. The Board investigated a complaint from a community group about the potential visual impacts of a licensee’s planned logging near Lillooet. This area has visual quality objectives (VQOs), and the licensee’s forest stewardship plan contained results and strategies to meet these objectives. The complainant was concerned that planned logging would not meet the VQOs, and wondered why the Ministry of Forests, Lands, Natural Resource Operations and Rural Development (MFLNRO) would issue a permit and why their compliance and enforcement branch would not do something prior to logging. In planning the logging, the licensee had completed visual simulations and was working with community members to be consistent with the VQOs. This report describes the community member’s concerns, efforts by the licensee and government, and results of these efforts after logging. Wildfire Community Preparedness Day is an excellent opportunity for people to reduce wildfire risks around their homes and in their communities, Doug Donaldson, Forests, Lands, Natural Resource Operations and Rural Development Minister, announced today. The FireSmart Homeowner’s Manual was developed to help people lower those risks and make their properties more fire-resilient. The checklist in the manual makes it easy to get started. The manual is available online: http://www.gov.bc.ca/firesmart “In light of the extraordinary wildfire season that B.C. experienced in 2017, and our government’s ongoing efforts to support fire prevention strategies, I encourage everyone to do their part by reducing wildfire risks on their own properties and within their communities,” said Donaldson. New workshop on woody debris management in British Columbia – Register now! FPInnovations, the Ministry of Forests, Lands, Natural Resource Operations and Rural Development, and the Ministry of Environment and Climate Change Strategy are pleased to present the Woody Debris Management Workshop taking place in seven different locations in British Columbia in May and June 2018. The workshop will consist in an introduction to practical methods for handling and harvesting logging residuals to achieve higher utilization and implement low-carbon solutions. Through a series of presentations, these workshops will support the extraction of residual fibre in British Columbia and, in return, reduce the amount of open-air burning of harvest residues. A local conservation group has called for a radical shift in wildlife management to save dwindling elk populations across the East Kootenays. The East Kootenay Wildlife Association (EKWA) has released the preliminary results of an aerial survey of Rocky Mountain elk in the Southern East Kootenay Trench, from Canal Flats to the U.S. border, which shows numbers are rapidly declining. A spokesman from the B.C. Ministry of Forests said the latest elk inventory report was not expected to be completed until later this month. However, according to the EKWA, elk numbers have dropped from 14,115 in 2008 to 6700-6900 this year in what it is describing as a “population crash”. …EKWA spokesman Mark Hall sits on the committee and said the results were alarming. VERNON — Construction of the new arena at Kal Tire Place has led to Vernon losing one of its largest annual events — at least for now. 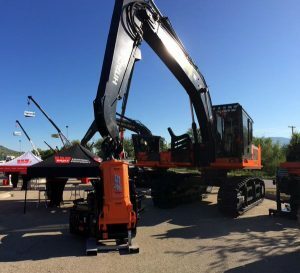 The Interior Logging Association, which has its head office in Vernon, is holding its 60th annual conference and trade show in Kamloops Thursday to Saturday. “It had been in Vernon for about five years and then due to construction at Kal Tire Place we decided to move it back up to Kamloops,” says ILA General Manager Wayne Lintott. Lintott says they plan to use the Kamloops venue for at least a couple more years, saying it provides a lot more space for their product displays. …This year’s conference is the 60th annual, with both Premier John Horgan and Forests Minister Doug Donaldson as guest speakers. A spokesperson for Manitoba Sustainable Development says the fire burning out of control in the Rural Municipality of Piney has not grown since Monday. Earl Simmons says because of the cool, humid conditions Tuesday, the fire remains 4,700 hectares in size. It is still three kilometres from Badger and Simmons says the fire is not a threat to that community at this time. The province is utilizing 12 crews consisting of approximately 50 firefighters. With the help of four caterpillars on the fire line, Simmons says they are making good progress. …There have been no buildings lost in this fire and still no evacuations. Simmons says burn bans remain in effect for the entire eastern region and there are also travel restrictions in place on crown land. KANANASKIS — Logging protestors are taking their fight to film as clear-cut timber harvest continues at Highwood Junction. Members of Take a Stand for the Kananaskis and Upper Highwood, gathered with community members, professionals in fish and wildlife and residents from the Ghost Valley on April 25 to see a documentary on the impact of clear-cut logging in the Ghost area called Forests, Fins and Footprints. The 20-minute film outlined potential effects of logging on rivers, wildlife and fish in Alberta. …He encouraged attendees at the film showing to take photos of the clear-cuts and submit them with letters to MLAs, ministers, and the premier’s office as part of a rally to see changes to forestry. DRYDEN, Ont. —Forest fires are a No Drone Zone. The Ministry of Natural Resources and Forestry says drone operators must avoid flying the unmanned vehicles anywhere near a wildfire. The warning was prompted by a recent incident in the Fort Frances area. An MNRF spokesperson in Dryden said ground crews working on a fire spotted a drone flying over the blaze. There were no firefighting aircraft assigned to the fire at the time. 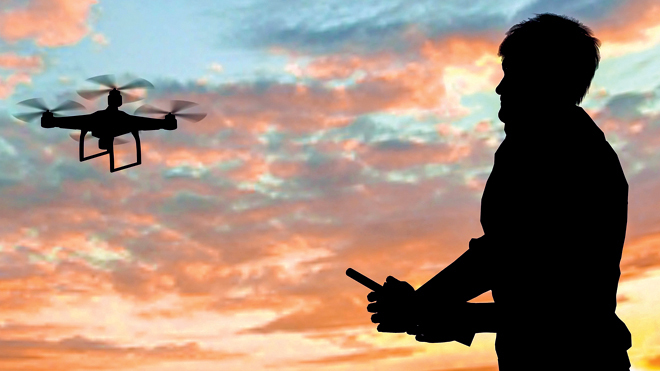 The law prohibits flying a drone within nine kilometres of a forest fire. The ministry said drones can put the lives of pilots and firefighters at risk. Federal law provides for a fine of up to $25,000, or jail time, for violators. 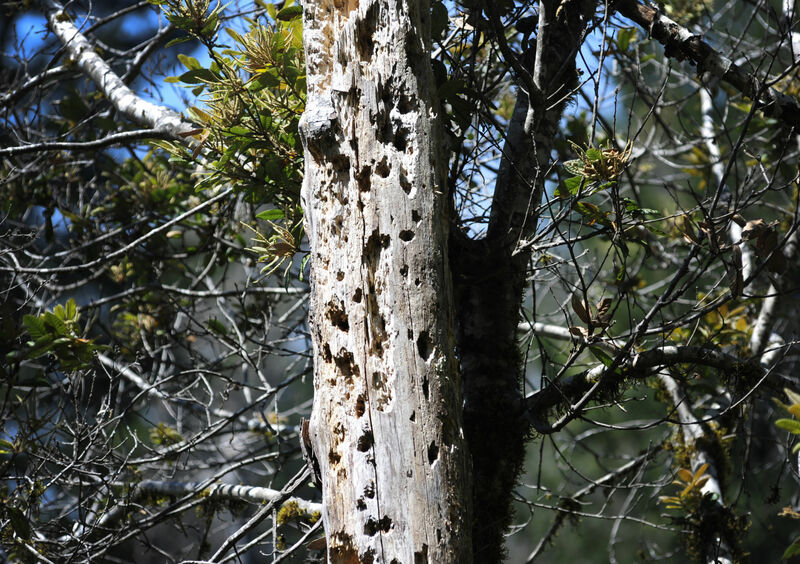 Oregon Sen. Jeff Merkley announced Tuesday that the more than $466,000 in federal funding has been distributed to Oregon organizations and agencies for projects aimed at ending the spread of the Sudden Oak Death (SOD) and the EU-1 strain of the disease. Merkley, the top Democrat on the Senate Agriculture Appropriations Subcommittee, said, “Partners from a broad swath of governments and industries have been working together to address this crisis, and these resources provide urgently needed support to these efforts.” The scientific name of the disease is phytophthora ramorum. The NA-1 strain has been present in Curry County since 2001. In 2015 a new strain of the disease was recognized in Curry County known as the EU-1. BOISE, Idaho — There’s a sense of relief at the U.S. Forest Service because of the billions of additional dollars made available by lawmakers over the next decade to fight catastrophic wildfires but also a duty to spend it wisely, the acting chief of the U.S. Forest Service said Wednesday. Vicki Christiansen, speaking at the National Interagency Fire Center about the recently approved Wildfire Disaster Funding Act, said the money will help the agency avoid raiding other parts of its budget and allow work to prevent wildfires while also tackling a backlog of trail and road maintenance. “We really have an opportunity to put the work on the ground, improve the conditions of the national forests and create more opportunity for access and recreation as well,” she said. 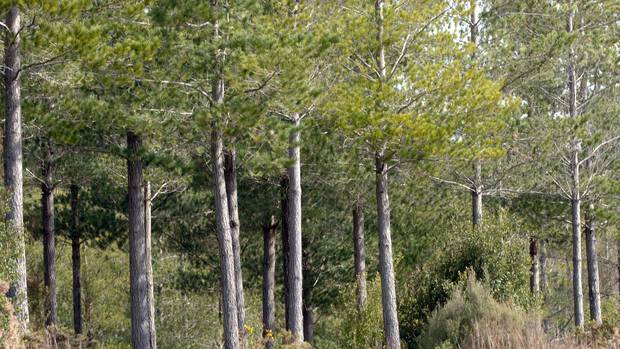 Farmers have been conscripted to dig in to assist with Shane Jones’ plan for a billion trees to be planted over the next 10 years. The Afforestation Grant Scheme (AGS) and joint ventures with landowners are two mechanisms in place to assist the coalition Government’s billion-tree planting programme, Forestry New Zealand head Julie Collins told Northland sheep and beef farmers. Grant schemes would be reviewed next year year to help the billion trees programme proceed through 2019 and beyond, she said. The coalition Government had committed to set up standalone Ministry for Primary Industries (MPI) business units dealing with forestry, fisheries, food safety and biosecurity. Minister for Forestry Shane Jones will be formally launching Forestry NZ on May 11. An enthusiastic and large group of volunteers gathered at a former limestone quarry in Irish Cove, N.S., Wednesday to plant 1,000 red spruce seedlings. It’s part of a national carbon capture initiative, embraced locally by the Bras d’Or Lake Biosphere Reserve Association, to prevent carbon dioxide from building up in the atmosphere. “Trees are a great source of carbon capture,” said Waddie Long, a natural resources and environmental technology instructor at the NSCC Strait Area Campus. Red spruce was chosen for the project for two reasons, he said. One, “because of its longevity it will capture an abundance of carbon.” And two, “the species, though fairly common elsewhere in the province, is rare in Cape Breton.” …Long said the seedlings were grown at a provincial nursery in Strathlorne, Inverness County — and paid for by Port Hawkesbury Paper. Planting tens of thousands of new trees throughout San Diego is supposed to significantly help shrink the city’s carbon footprint under its 2015 Climate Action Plan. Officials are relying on boosting the urban tree canopy to eliminate more greenhouse gases in coming years than from rolling out electric city vehicles, capturing methane from wastewater treatment and increasing the number of people who bike to work, all combined. However, Mayor Kevin Faulconer is now proposing to cut funding from the Urban Forestry Program in this year’s budget, while the effort to boost tree cover throughout the city appears to be dauntingly behind schedule. The mayor pledged under the climate plan to grow the coverage of the urban tree canopy from roughly 13 percent in 2014 to 15 percent by 2020 and 35 percent by 2035. Norbord’s Use Wood Wisely campaign is said to tell you all you need to know about the responsible and sustainable use of wood; and how government strategy is affecting the world of timber supply and use. Rather than burning virgin timber as fuel for energy generation, and thereby releasing tonnes of CO2 into the atmosphere and contributing to climate change, Norbord argues for the ‘cascade of use’ philosophy. It is much more efficient to process virgin timber into added-value products, such as wood panels, that are used in the housing and construction industry. 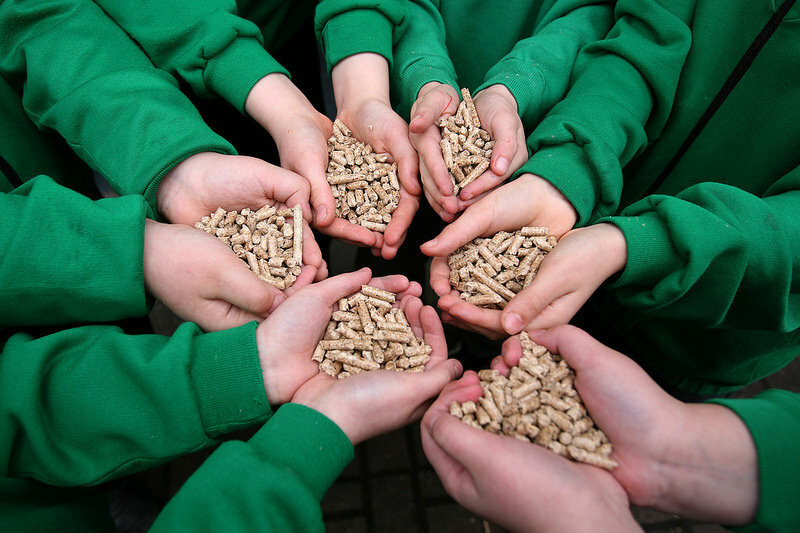 The prime economic driver for burning wood in UK power stations is government-funded subsidies, paid per unit of renewable energy supplied via the Renewables Obligation or as part of a pre-arranged contract to energy generators. For the past ten years, Mary Booth, an ecologist with the Partnership for Policy Integrity in Pelham, Massachusetts, has immersed herself in the complex, nuanced, politically charged world of international carbon emissions accounting models as if the planet’s fate depends on it. …Booth’s research — Not carbon neutral: Assessing the net emissions impact of residues burned for bioenergy, published this February in the journal Environmental Research Letters — helps answer some thorny questions critical to our energy and carbon future. Her study examines the net CO2 emissions of biomass burned to replace coal at the UK’s massive Drax power stations and other EU power plants. …Booth found that “up to 95 percent of cumulative CO2 emitted represent a net addition to the atmosphere over decades.” In other words, biomass is not carbon neutral. Mill workers see workplace violence, but are afraid to report it, says a Red Shirt Foundation report. The foundation formed following a Nanaimo Western Forest Products mill shooting in April 2014, when Michael Lunn and Fred McEachern died and Tony Sudar and Earl Kelly were injured. The foundation was named to honour Lunn’s love of red shirts. Together with Western Forest Products, United Steelworkers union and WorkSafe B.C., the foundation funded the Workplace Violence in Sawmills in B.C., Canada report. According to the report, common articulations of workplace violence include verbal abuse, swearing, bullying and demeaning and discriminatory actions. …Among the report’s recommendations are establishment of a zero-tolerance policy on workplace violence, with education. NANAIMO — A new study hopes to save lives from workplace violence, sparked by a tragic shooting in Nanaimo four years ago. The study from the Red Shirt Foundation, formed after the shooting death of Michael Lunn and and Fred McEachern at the Western Forest Products mill, spoke to nearly 400 lumber industry workers to learn how to best avoid future violent situations. …The report showed sawmills in Canada and particularly B.C. are under a significant amount of time and financial stress and there’s very little job security, leading to pressure and heightened emotions. Nearly all employees are men with over half of them ages 50 and up. Jacques said many worked side-by-side for most of their career, creating strong bonds but also possibly fierce bitterness given the stressful situations. …“It leads to a lot of depression, missed days of work, drug issues and domestic violence,” Jacques said of the strain lumber employees are under.